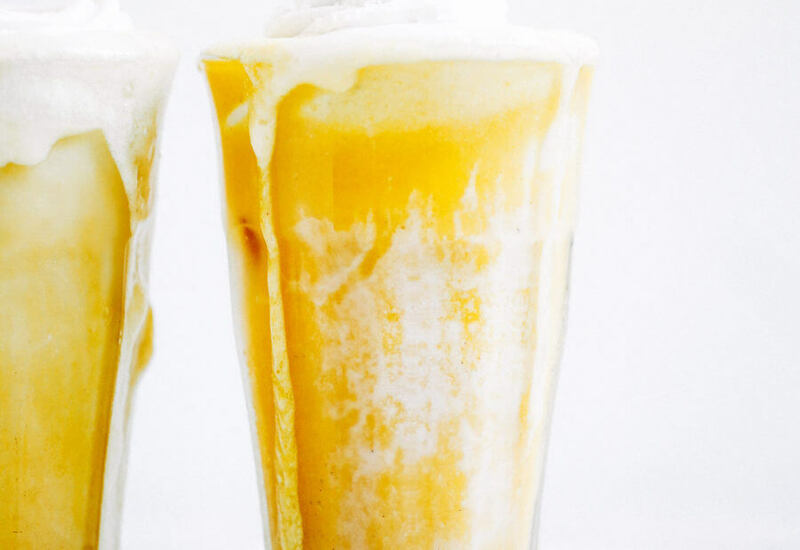 Top on my paleo food list: golden iced turmeric lattes. Tastes like liquid sunshine! An easy refreshing paleo and whole30 beverage, perfect for summer. 1/4 cup raw cashews optional- makes it's super creamy! In a high speed blender combine ingredients on high for 1-3 minutes until smooth and frothy. If you want to make the two layer fancy look- pour some almond milk into the bottom of a glass with ice cubes. Top it off with golden milk, whipped cream/coconut cream, and natural sprinkles. Nutrition Facts Golden Iced Turmeric Latte Amount Per Serving Calories 10 Calories from Fat 2 % Daily Value* Total Fat 0.2g 0% Saturated Fat NaNg 0% Trans Fat NaNg Polyunsaturated Fat 0.1g Monounsaturated Fat 0.04g Cholesterol NaNmg 0% Sodium 1mg 0% Potassium 58mg 2% Total Carbohydrates 2g 1% Dietary Fiber 1g 4% Sugars NaNg Protein 0.2g 0% Vitamin C NaN% Calcium 1% Iron 6% * Percent Daily Values are based on a 2000 calorie diet. 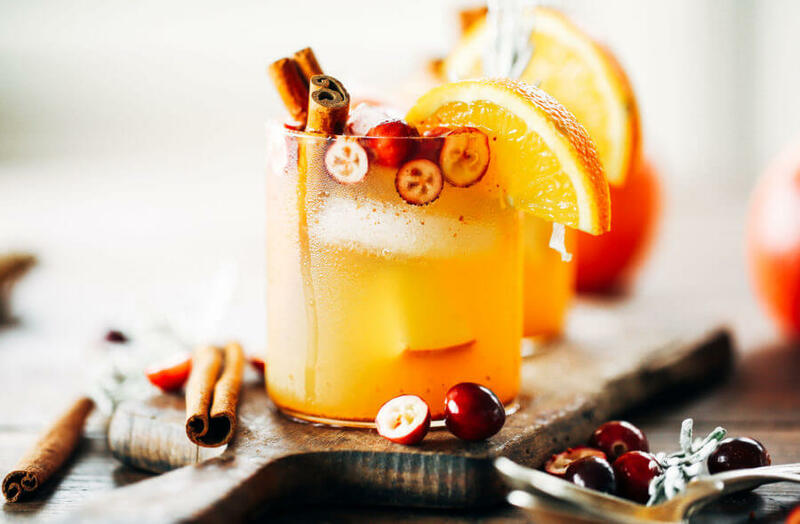 Looking for the perfect holiday drink to wow your guests? This sugar free sparkling apple ginger aid punch is a perfect party hit and is a non alcoholic drink both the kids and adults will adore! Holiday spices, pressed apple juice, ginger aid, and all the fresh apples and cranberries! 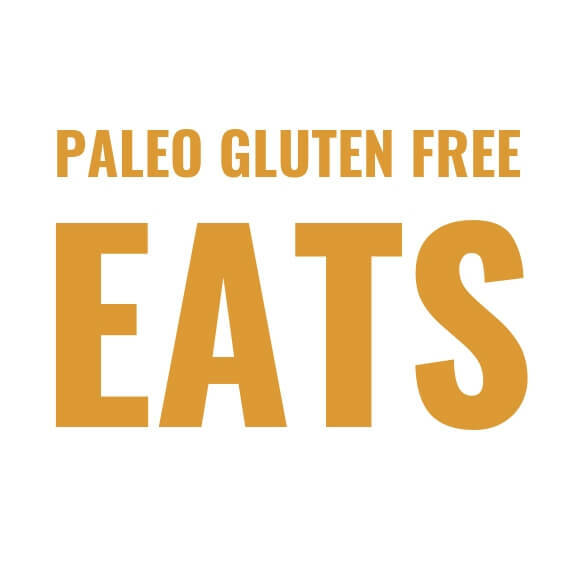 Paleo, sugar free, dairy free. Stir together the ingredients for the punch in a large bowl or pitcher. Then add the mix ins and serve!